Lord God thank you for you grace. I thank you that for us, you make crooked paths straight. I know that we are on assignment and that although you are testing and training us, Satan uses the same to disqualify us from the race. I come before you with a humble and contrite heart to present myself and those reading, who have been warring to enter the Promised Land. I know Satan has tried whatever he will, to prevent us from entering your place of promise. This is our place of promise, of break through, of harvest, favor, power and miracles. And we do not want to be disqualified before entering Lord, please fight for us. I know there are some battles you fight for us, and others where you fight with us. We do not want to be contaminated, by anything; not hate, anger, lust, sexual immorality or any other type of spirit. Search our hearts Lord, and give us the desire to fully want what you want. After putting on all the spiritual armor, may we do all to stand firm. May we stand firm IN faith, knowing that this is what pleases you. May you fill our hearts with your hope and perfect love, since perfect love casts out fear. Even when we see that life is hard, or that the path towards righteousness is exhausting, I ask for one thing from you God: may we hold fast to what we have believed. May the Lord of the harvest continue to be our God, may the Lord of Hosts be the one who fights for us, may the Father of Lights be our freedom from any and all, may your Spirit be our counselor, and may the Lord of lords be our redeemer. I lift up those who have began to feel that battles they overcame in the past, have come back to haunt them. I lift up those whose faith has become replaced with fear, rebuke the spirit of uncertainty from their lives Jesus. And I also lift up those who have fallen and may feel like consistent failures or who are condemned by shame. 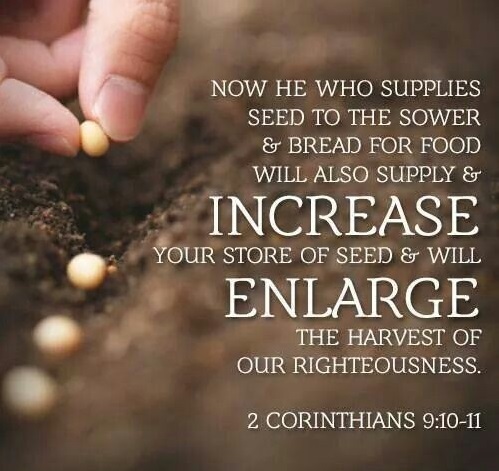 May we see the harvest of all the good we have planted. In the name of Jesus, Amen.